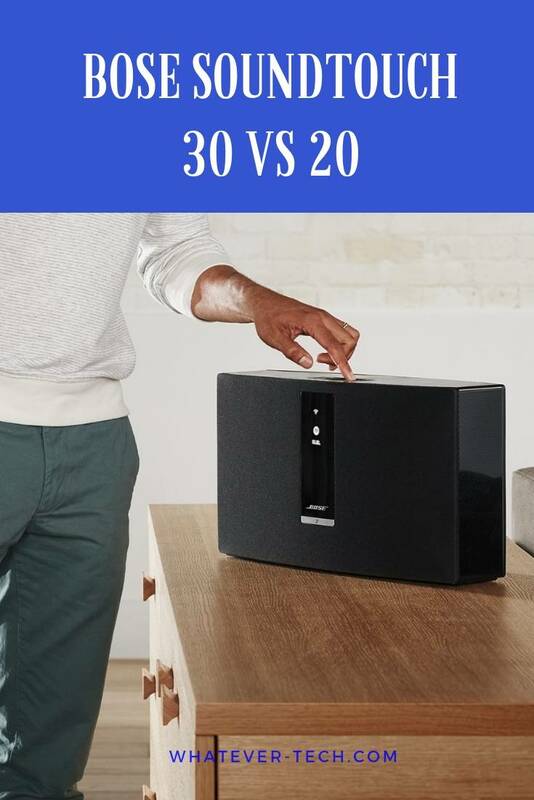 There’s certainly some confusion in the market about how the SoundTouch 20 differs from the 30. Both provide you with Bose engineering for a crisp, clean sound suitable in a variety of spaces. What you’re about to discover helps you to make a real decision about which option is best. Start with a consideration of what you need and why. You may see the outer shell of each wireless speaker misleading. There are advantages and disadvantages that the eye doesn’t see. This is why we wrote this; you need a clear view of the details, and we think you’ll be surprised. 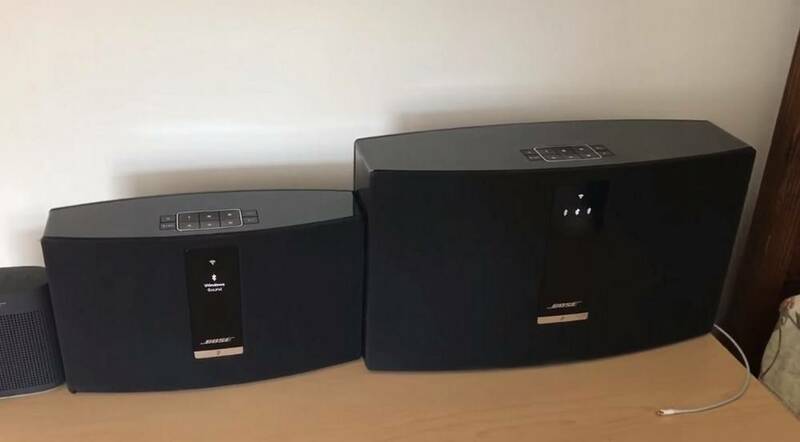 Bose provides a unique package in both models, so your choice is based on the finer specs involved. We summarize our research by saying that size is where the difference is made. Size, in regard to output and potential, is a matter of power. What one unit can do in confined spaces, the other can do in large, open areas without losing reach or quality. You can expect the same science of Bose to drive quality in both models. The brand has created a concept easy to use and that allows you to substitute your mobile device’s music-player for something solely dedicated to audio. Hands-free control is about staying away from buttons and toggles, so you can enjoy these systems with a bit of customization for starters. We’re about to unfold why some buyers are thrilled about what they got while others wished they bought the lesser or the greater and vice versa. 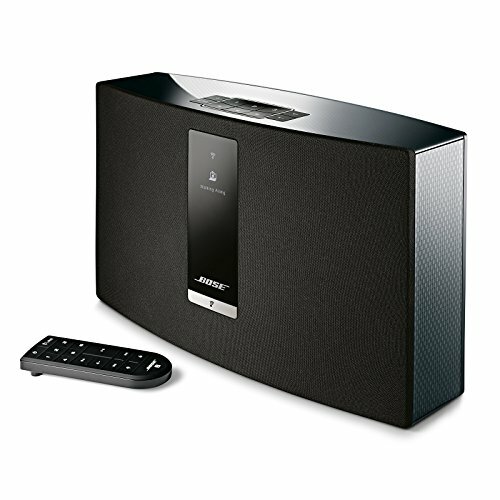 What Bose SoundTouch 20 allows with portability, the Bose SoundTouch 30 increases it with a few more inches and a few more pounds. Both units are sleek and were designed with a look that remains toned-down to fit any space. You have the color options of black or white with both offering what initially appears as the same body mold. These are wireless units, so they sit alone. They won’t need direct connections to other tech and only require a single power cord for electricity. They each have a solid base to sit on and that makes them perfect for placement on a shelf or on the floor. However, you decide if mounting brackets are best for hanging the 20 on a wall. Consider a stand for the 30, which comes as a slim column the unit is held up by. Think of how a PA system holds up its speakers, and you should get the right idea. The difference in size is a matter of power. Size is a factor to sustaining the low frequencies that we call bass, and this is what a single, built-in woofer does with the 30. The power output of the SoundTouch 30 sustains a thicker sound as compared to the SoundTouch 20. Take into consideration that these are comparisons. Unless you plan to have both models sit next to each other, within your space, you may not notice the difference in bass textures and sound. Achieving a larger output for lower frequencies is how you can send your sound waves out further through a larger crowd, so extra bass may not be necessary if you’re alone. Both the 30 and 20 use a simple power button to power on through. You’ll have the pleasure of controlling each assembly through a remote control and from a distance. The similarities are worth noting as we paint a picture as to why you can compromise on some features. Let’s take a look. If wireless technology is your aim, you can’t go wrong with either unit. The basic idea for the SoundTouch is wireless. We might take wireless features for granted, but they allow us to automate music, stream data and to change settings without having to touch the speaker. Connecting these speakers to your technology is also important. Special wires and extra cables aren’t necessary for either item. A mobile device, as simple as your smartphone, can be paired to either speaker to extract media on-demand. These units are made compatible with Spotify, Pandora, Deezer, iTunes and SiriusXM when coming right out of the box. You can even have them remember set preferences to automate music and channels. Both units, regardless of the size difference of the two, still remain small and unobtrusive. You should be able to find a space in your home for these and in any room. The often-used facade of Bose speakers leave little room for things to snag on or to look out of place. There are no extra arms or extrusions to get in the way. The simple, boxed design of each unit has a slight outward bend on the front-face where the speakers are. This is a matter of engineering, and the face of internal speakers are covered with a soft mesh that matches the color of the unit. The brand’s white option has a slight gray tint to it while its black model is solid and complete. We haven’t found any fall-shorts to the general promise of Bose audio. Depending on how many you buy and what equipment you pair up with, you’ll find that setting up a surround-sound atmosphere to be a simple prospect. 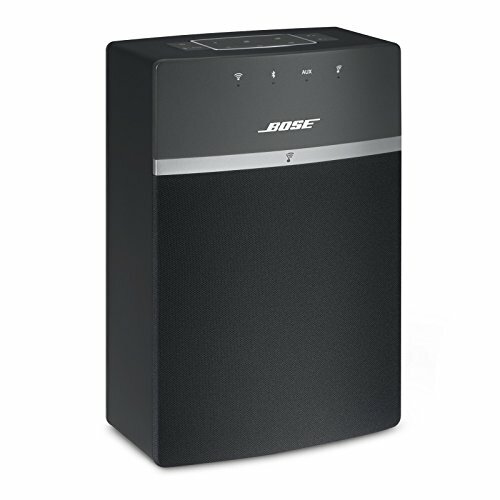 Both units provide awesome audio ranges and with the expected performance of Bose speakers. The nuances in this review are in size. You essentially get the same features and sound. One model can blast music for an entire auditorium while the other is ideal for small spaces within the home. 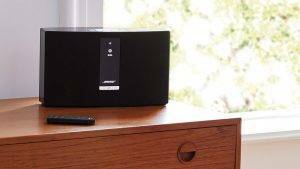 Bose recommends that the SoundTouch be used with more than one SoundTouch, and this can be done in a number of ways. Doing so eliminates the stress in your decision. Pairing multiple units with each other gives you the ability to build a louder sound even with two of the smaller SoundTouch 20 models. You can also sync these speakers throughout different rooms and spaces. The music or radio you then hear in one room will play out of the other. This can then be reversed to set which unit plays or to decide on what plays out of each individually. If you have six units within six different rooms, then you can have them all playing different songs for the people enjoying them. Expect to gain a deeper dynamic with the larger SoundTouch 30 that offers a wider spectrum for bass. This area of our review is your decision. You might find the lesser power of the SoundTouch ideal for you. The acoustics of a room may sustain your lower frequencies at just the rate suitable for your listening lifestyle. The difference in size could be a factor to you saving space, but that difference is only two to 5-inches. The range of sound is broad being that both units are made by an outstanding brand. Bose not only appears in luxury vehicles, but their headphones and studio equipment hold a reputation for power. The power you need to turn on these units is a simple power cord that anyone can use with the available connections. The 20 and 30 have a built-in control panel where you manage the output with. You can set your favorite levels and even automate your favorite channels. 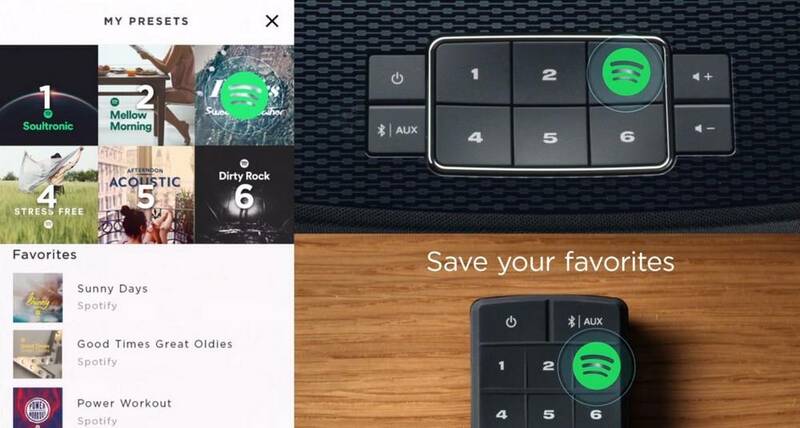 These channels immediately access stations like Spotify and iTunes based on preset buttons that go from 1-through-6. Bluetooth is an important power-stream for the SoundTouch. This stream picks up mobile devices or signals from a home entertainment system. The decision with power is based on what you can handle and the energy bill you want at the end of each month. 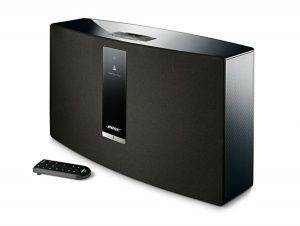 The SoundTouch 30 certainly offers more output with its enclosed subwoofer. If you find that it sends out too much power, then you can gate the output down by going with the more compact of the two: the SoundTouch 20. The difference between 18.5-pounds and 7-pounds is big. The largest difference is in width that differs at 5-inches between the two units. The additional weight and space used are the result of a powerful woofer added for lower frequencies. Both SoundTouches use the same simple box shape with a front-end that bends outward. They have a clean, sleek look that doesn’t add any outrageous lines to the decor you’re already working with. The box-shape can be hid with relative ease. It’s the larger SoundTouch 30 that comes with a stand upon your request and purchase. You can include a carrying pouch for the 30 as well as request its walnut wood cover. The SoundTouch 20 is instead compatible with a wall mount that secures it off the ground or the shelf you’re now using. Power creeps its way into this category as the major focus in how each unit performs. They each follow the same design features with one being notably heavier than the other. Consider how portable you need yours to be. Carrying around 7-pounds is surely a big difference from carrying what’s almost 20-pounds. Keeping your unit stationary may be a good reason to grab the larger SoundTouch 30. 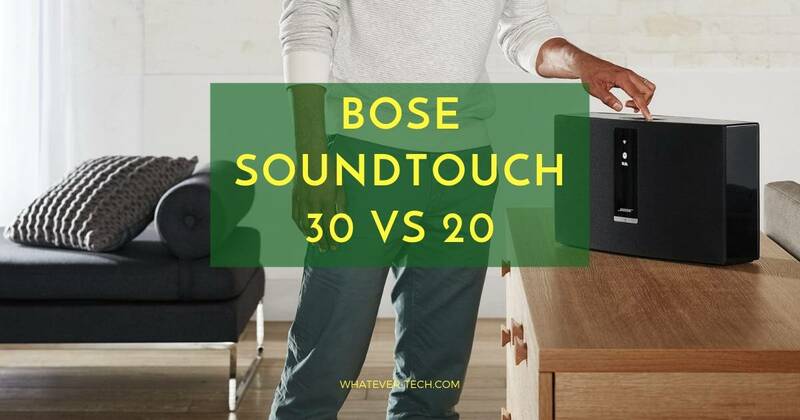 We can all enjoy the hands-free feature of Bose in the SoundTouch 20 and 30. Hands-free works with wireless technology and Bluetooth connections that both have. Still, you’ll quickly uncover an out-of-the-way panel to manage basic functions for each device. This panel is helpful in getting the units started, and it’s built-in. You need to pair mobile devices before they can sync. Right out of the box is a remote control to make things easier. 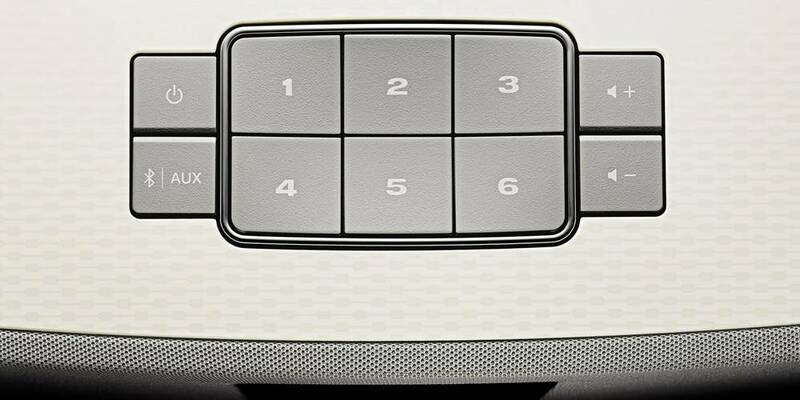 The remote has the same six channels found within the control panel. A powering option is placed on it with the choice to change the auxiliary input of the unit. You can manage volume, play and skip. Two thumbs, one up and one down, are also made as buttons to favorite songs into a queue and playlist. The remote is compact and the size of an average adult’s hand. 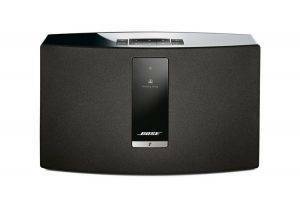 Bose did a tremendous job at keeping the SoundTouch wireless. This gives you control no matter where you are or what you’re playing. Syncing your mobile device takes the work even further by customizing your music. You have no shortage of options when getting your device to sync and pull audio signals with Wifi or Bluetooth. The SoundTouch uses basic audio files, which include MP3, WMA, AAC, FLAC and Apple Lossless. The music you convert from a recording session fits into Bose’s technology for an impressive performance. The SoundTouch App is another compatible feature for a more personal experience and at the tip of your fingers. This app makes streaming music simple and all within control of one unit. You’ll find AUX and Ethernet ports helpful in setting up your entertainment system to include TVs and projectors without difficulty. Consider connecting to the world and the audio it has to offer. You have access to more than one option. The central idea behind the SoundTouch is wireless performance. No CDs or tapes are required, and you can use both devices from a distance. Bose made these units to fit with modern technology that requires no troubleshooting. Our final verdict is a measurable one. With two models having similar features, we had to measure why we would choose one over the other. When it comes down to it, there’s simply more you can do in the long run if you have more power at your disposal, and this leads us to our final decision. 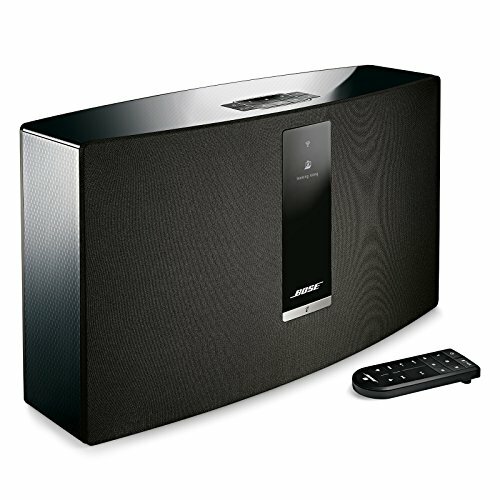 The Bose SoundTouch 30 is the most impressive package. The reason is that you get everything the smaller offers, so you never have to feel that you missed out on anything. The added walnut wood option and standing mount just can’t be found with the 20. It doesn’t hurt that the SoundTouch 30 has its own woofer. Both models are compatible with other speakers, but bass power is built into the 30. There might be a concern for the weight, but Bose did a great job with the design of the 30. It’s simple box-shape makes handling the weight less tiresome than if it were a circle or hexagon. The 30’s connectivity is as good as any technology out there, and we think it should definitely achieve your needs with still more features to access.